Are planning a special lunch treat for your employees, surprising your partner with a birthday party or getting married?. Let us worry about the food so you can focus on having fun and enjoying your guests. Our wood oven is built right onto a trailer and can go almost anywhere. From planning the perfect menu to serving delicious appetizers, farm to table pizza and yummy desserts you and your guests are sure to have a one of kind dinning experience what ever you are celebrating. We'll work with you to make your party an occasion your guests will remember for years to come. Not only does our oven cook up artisanal pizzas in about a minute and half, it provides a focal point and entertainment for your guests. We cater events in the greater Lehigh Valley including Bethlehem, Easton, Emmaus, Allentown and beyond. 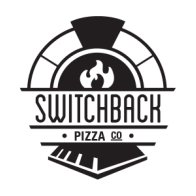 Switchback specializes in birthday parties, baby showers, engagement parties, weddings, wedding rehearsals and corporate lunches. Please email or call Marguerite to help you plan your next event.